The classics is endless. White and gold as a basis of color classics will live forever. By the way this color scheme is really universal. This set can be presented both men and women, children and adults. 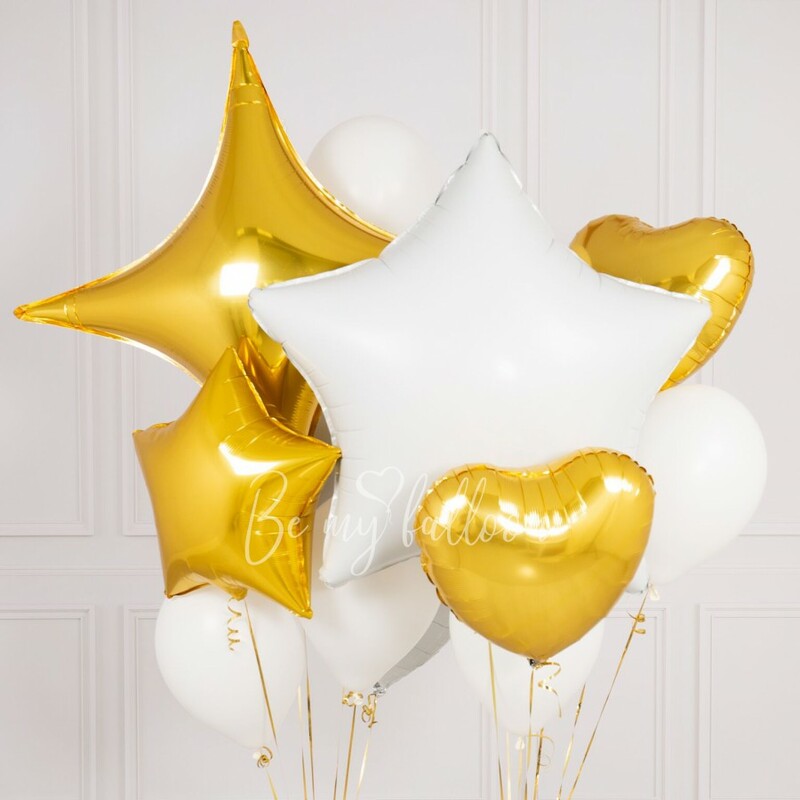 The set includes: 1 large foil star point 40", 1 large foil star 36", 3 foil hearts 18", 2 foil stars 20", 7 latex balloons 11" weight.